American History with provenance is offered. 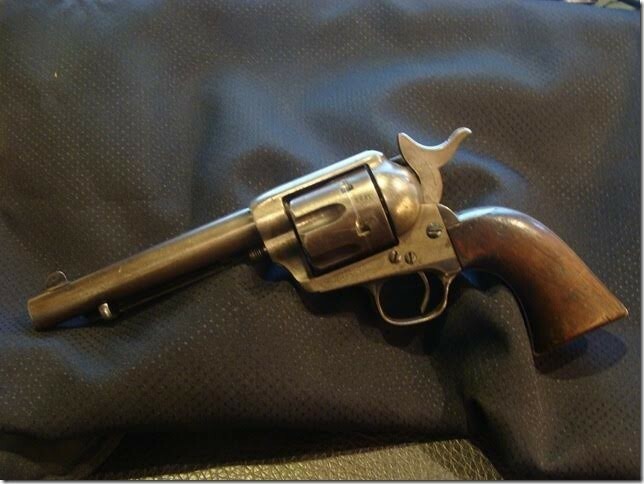 THE SPANISH AMERICAN WAR 1874 Colt S.A.A. 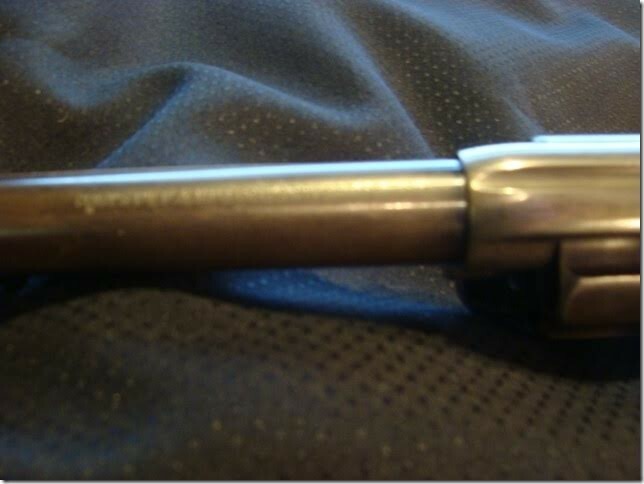 .45. 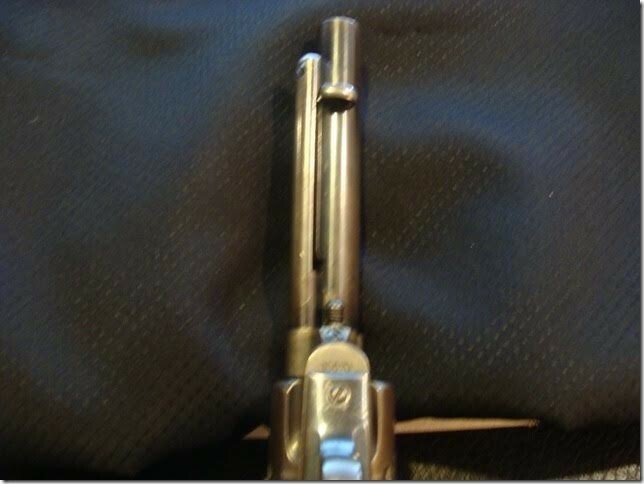 THIS IS A Historic 1874 Colt Single Action Army Revolver .45 cal. 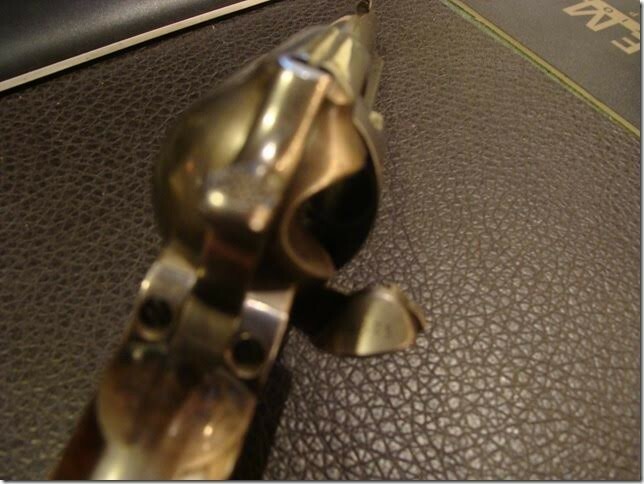 Artillery Model, ALL MATCHING Serial Number #10670 and “U.S.” Martially Marked, 5 1/2 Barrel and with Walnut Grips. All original. assigned countries. His records describe him as a 18 year old, 5’ ft. 4” inches in height, dark complexion, (indication he was likely ‘black’ it was common military procedure to list Negros, with the words ‘dark complexion’), brown eyes and black hair and his (MO) occupation was a “Bugler.” He was ‘mustered out of service’ (which means he was discharged) at Fort MacKenzie , on May 16th 1899.
and faithful service. July 1898 the 2rd U.S. Volunteer Engineers were recruited and assembled at Fort Sheridan, Ill. and commissioned to survey and build bridges and hospitals etc.) in Cuba; interesting note: Teddy Roosevelt and his Rough Riders were in carrying out the famous battle at San Juan Hill, Cuba on July 1st 1898.
pages of special orders and activities carried out by Elmer J. Weich. The research was done by The Springhill Research Service and includes many pages of copies of actual documents that record of his Engineers companies being sent to survey, locating Camp Sites for the Artillery and Infantry and building hospitals in various other countries that he was given “Orders,” as well. Once again: His enrollment describes him as “dark complexion” which is a strong possibility that Elmer was ‘a black man.’ This automatically increases the value even more to most Collectors. It is a rare thing when an opportunity to get such a genuine piece of American History with provenance is offered. 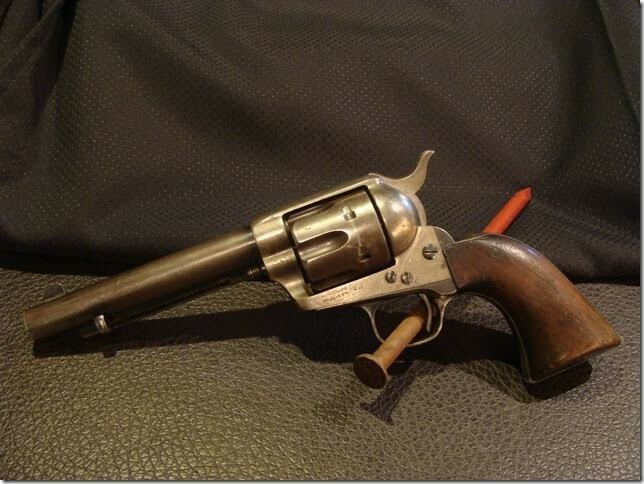 THE SPANISH AMERICAN WAR 1874 Colt S.A.A. .45. 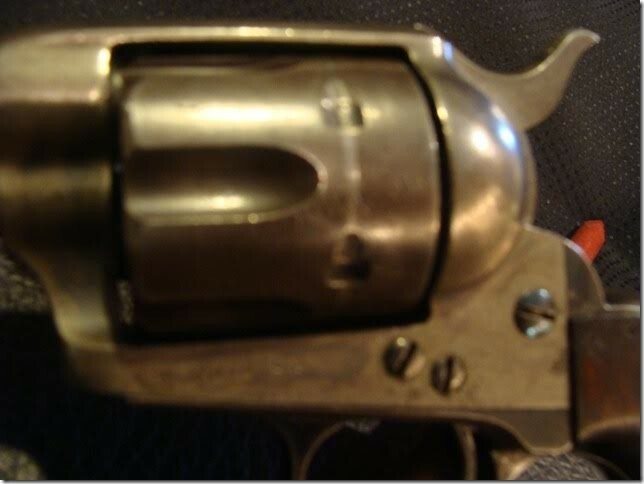 THIS IS A Historic 1874 Colt Single Action Army Revolver .45 cal. 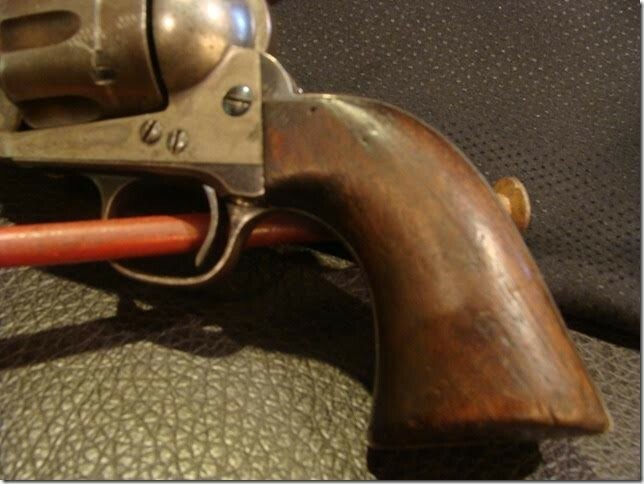 Artillery Model, ALL MATCHING Serial Number #10670 and “U.S.” Martially Marked, 5 1/2 Barrel and with Walnut Grips. All original. 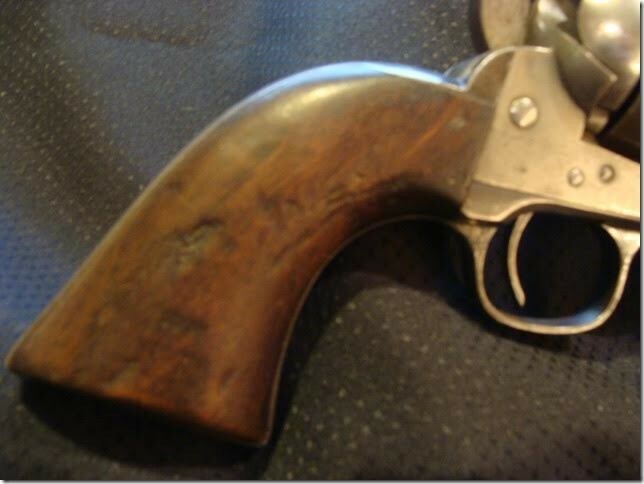 It belonged to “Musician-Bugler” Elmer J. Weich and he used in the Spanish American War. According to the Records of the Adjutant General’s Office (by Springhill Research) they show he join Company C, 2rd. U.S. Volunteer Engineers on June 15th. 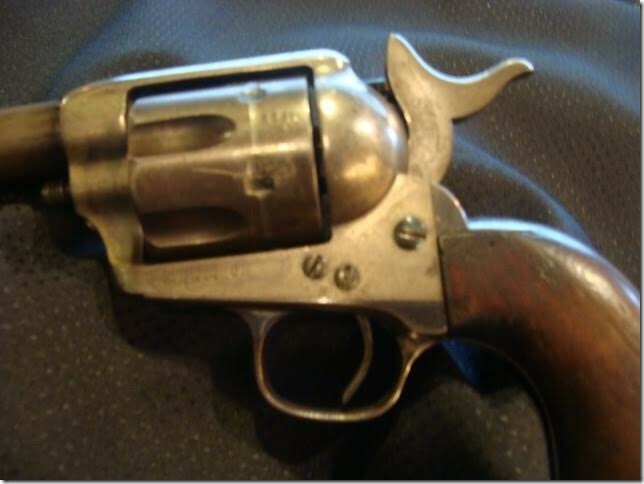 1898 during “The Spanish American War.” The records state that this 1874 Colt S.A.A .45 cal. S.N #10670 issued to him and was used by Musician Elmer J. Weich in Cuba and other assigned countries. His records describe him as a 18 year old, 5’ ft. 4” inches in height, dark complexion, (indication he was likely ‘black’ it was common military procedure to list Negros, with the words ‘dark complexion’), brown eyes and black hair and his (MO) occupation was a “Bugler.” He was ‘mustered out of service’ (which means he was discharged) at Fort MacKenzie , on May 16th 1899. Records indicate he was highly commended for his honesty and good and faithful service. July 1898 the 2rd U.S. Volunteer Engineers were recruited and assembled at Fort Sheridan, Ill. and commissioned to survey and build bridges and hospitals etc.) in Cuba; interesting note: Teddy Roosevelt and his Rough Riders were in carrying out the famous battle at San Juan Hill, Cuba on July 1st 1898. 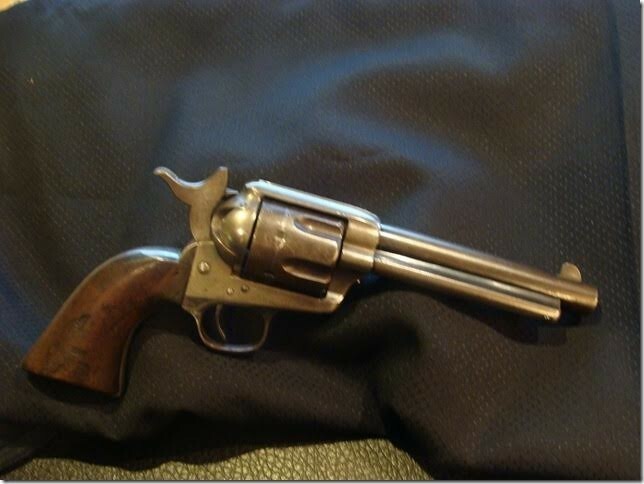 The historical record states that this 1874 Colt was used in Cuba in “the Spanish American War” by Elmer J. Weich and it comes with several pages of special orders and activities carried out by Elmer J. Weich. The research was done by The Springhill Research Service and includes many pages of copies of actual documents that record of his Engineers companies being sent to survey, locating Camp Sites for the Artillery and Infantry and building hospitals in various other countries that he was given “Orders,” as well. Once again: His enrollment describes him as “dark complexion” which is a strong possibility that Elmer was ‘a black man.’ This automatically increases the value even more to most Collectors. Please email cowboycabin@centurytel.net with questions or call 406 270-2842.